Large butterfly patterns printed on paper. Finished project measures 9-3/4" x 12"
Large butterfly patterns printed on paper create a satisfying project for all. Includes 4 patterns and markers. 8" x 10". 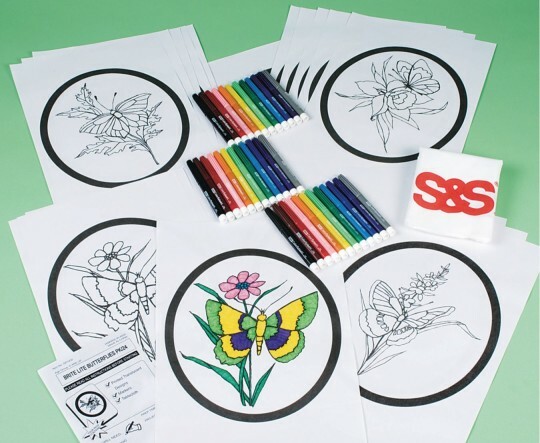 Can use markers water color or colored pencils or even puffy paint glitter glue to outline. Always a great outcome no matter how it is colored. We cut around the dark border and hang on fridge or on a window. We used this with residents with mid stage dementia and then displayed them on a wall. The residents were so proud of what they did they wanted to show everyone who entered the building. 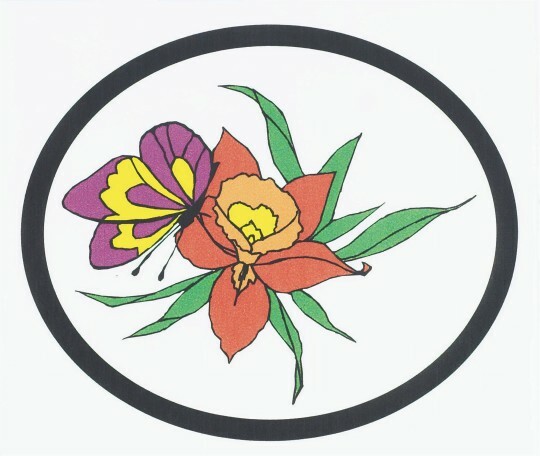 The art project was used for the Women's Detention Center at the City of Saint Louis Division of Corrections. I was made aware that the inmates involved in the crafts were very happy to use bright colors and personally make their own art project that projected their personality. 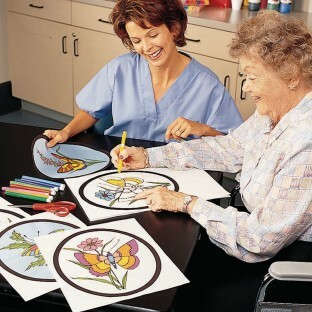 The patients enjoyed coloring the pictures with markers. Then we cut them into the oval shape and taped them to the windows in the unit day hall. The light shining through the windows made them looked like stained glass. The patients really enjoyed this project!